It is my humble opinion that this is the best Disney movie ever. I love this movie. It's not a love story. It's not about animals (well, not really). It's not about little kids. They don't burst into song every 5 minutes. It's about a spoiled brat of an emperor who gets turned into a llama. It's really really good. It's a kids movie that adults can really enjoy without resorting to double entendre like Shrek does (don't get me wrong I love Shrek). The cast of voices is wonderful too. 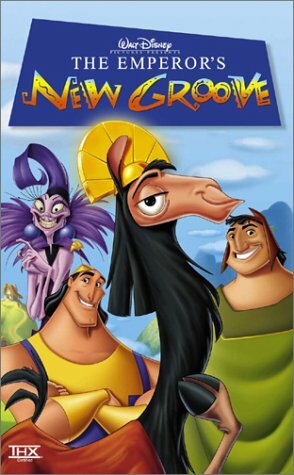 The guy who voices Kronk is so perfect for that, I think he's awesome. David Spade, Eartha Kitt, John Goodman are all fantastic voices. Really, honestly the best, funniest Disney movie ever.